The signature quality of a Reyes guitar is in its dual personality - when played gently, it sings sweetly with a beautiful melodic voice, yet when driven hard, the biting, aggressive side is released. flamenco guitars like the Reyes have a lower action than classical guitars, and so there tends to be a slight amount of "sizzle" to each note. This is produced from a very slight amount of intentional buzzing of the strings off the frets. This is what gives a flamenco an almost snare-drum like "pop" to the sound - whether one is playing scales (picado), strums (rasgueado) or the other various flamenco techniques (such as alzapua, tremolo, etc), these guitars are built and set up to deliver the authentic flamenco sound. Like the majority of flamenco "blancas," the Reyes is built with a solid Engelmann spruce top and solid cypress back and sides. 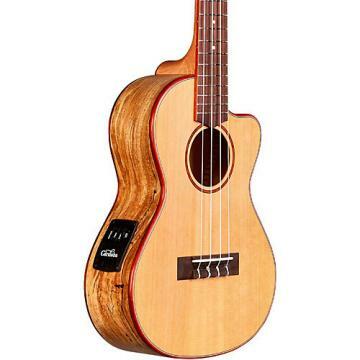 It features a Spanish cedar neck topped with an African ebony fingerboard. 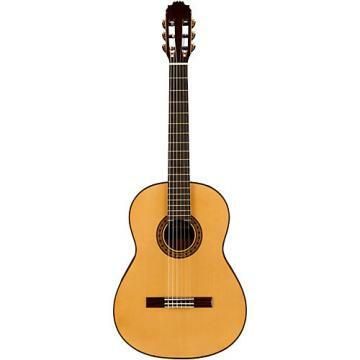 Cordoba added a few modern refinements, such as a truss rod, geared tuning machines, durable finish, and non-gut strings. The result is an instrument that exemplifies the authentic Reyes design, voicing, and feel, and captures a rare piece of guitar-making history. Cordoba obtained a 1960s Reyes model in order to study it inside and out, and play it over and over. The mission was to understand the essence of what gives this iconic guitar such an amazing voice and feel, and then recreate an instrument that possesses these characteristics and carries the same magic in its DNA. The process was a combination of science and feel; the wood thicknesses of the top, backs, sides, and braces were measured to the nearest hundredth of a millimeter, bracing patterns traced and mapped, and details of the materials, inlays, wood grains, and vibrations were all carefully analyzed. The guitar was played and listened to for hours to gain an understanding of the balance between the trebles and basses, resonance of the top, and a sense for the feel and response of the guitar when played in a variety of styles and environments. Another legendary builder hailing from Cordoba, Spain is Manuel Reyes, who is widely considered the most prominent and influential flamenco guitar builder alive today - and arguably one of the top flamenco makers in all of history. Reyes are played by many top professional players, most notably Vicente Amigo, who has immortalized the Reyes sound on his best-selling albums. Reyes' guitars are in such high demand that he is no longer taking new orders, making these guitars harder and harder to acquire. Enjoy the full dynamic range of this fabulous instrument. Order today.